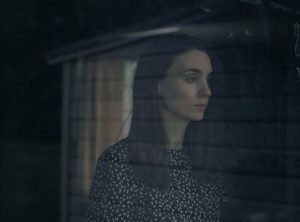 Shot in a photograph-like 1.33:1 aspect ratio, David Lowery's newest film is one that won't be forgotten any time soon. Everyone—each in their own individual way—fears the end. It’s one of the few things in this world that we genuinely know nothing about; as a result, we place an extreme amount of importance upon not only our days on Earth, but also if (and how) we will be remembered when we leave it. 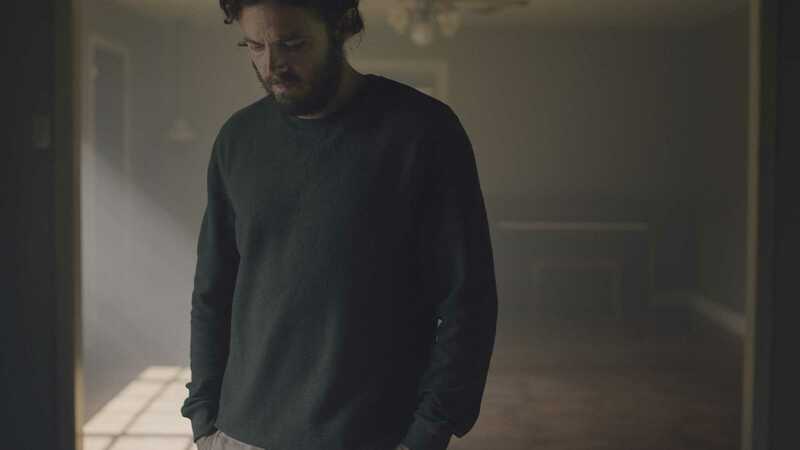 A Ghost Story, written and directed by David Lowery (Pete’s Dragon, Ain’t Them Bodies Saints), tells the story of a man with no name, played exceptionally by Casey Affleck. The man dies and becomes a ghost—a ghost in the eyes of a four-year-old. The man has a bed sheet draped over him with two eyeholes cut out at the top. It’s a bizarre yet striking image. The ghost goes back to his home, only to watch time pass by him, new people moving in and out. What follows is one of the greatest 90 minutes I have ever seen. As much as A Ghost Story tells a story of death, it more dramatically projects the ruthless, unforgiving nature of time. The ghost—once a man who avoided moving out of his beloved house—decides to remain there for eternity. He doesn’t quite seem to understand the brutality of what he’s subjecting himself to. 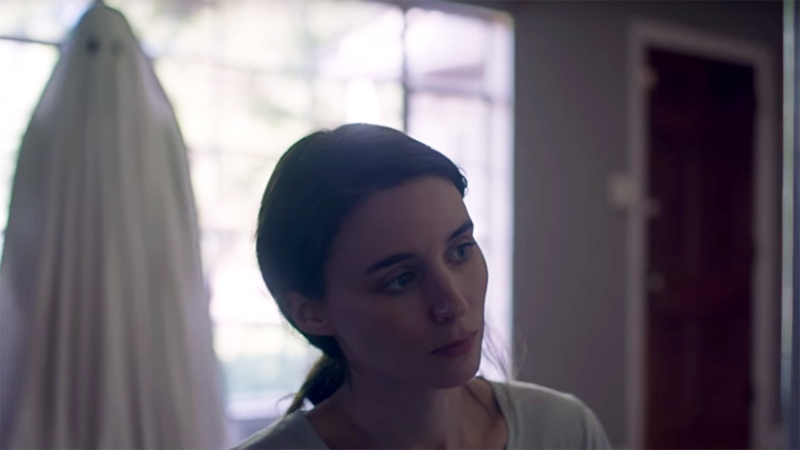 He views his wife (played by the miraculous Rooney Mara, who makes a 5-minute take of her character eating a pie one of the finest acting showcases in recent memory) grieve over and eventually move on from him. He watches a single mother and her two kids move in and move out. He wanders through a party of hipsters discussing the end of the universe. He even lives to see his house torn down and rebuilt as an office building. The Ghost undergoes something that even the most contained, confident, and good-natured human would struggle to handle. He watched his world (literally) crumble, and with every moment that passes, time moves faster and faster. The precise editing by Lowery himself presents time as a lucid and omnipotent being. He has a set of three shot/reverse-shots span dozens of years when we see the Ghost look at the dead body of a young girl, then a skeleton, and then new layers of soil. Lowery seems to view time as something unbeatable, something that can become overwhelming when not focused on; when we allow our days to flow without meaning or thought, time slips by like sand through your fingers. We spend so much time worrying about our ends and how we will be remembered, yet we have trouble making every moment memorable. But what makes a memorable moment? This, to me, was the most prevalent question in A Ghost Story. Lowery mentioned in an interview with Channel 33 that the script to this feature film was only 30 pages long; on average, one page of screenplay equals one minute of screen time, therefore his script would usually be a quick 30 minutes long. The reason for this—and one of the reasons that A Ghost Story lands a cinematic blow—lies in Lowery’s unflinching view of the mundane. He and director of photography Andrew Droz Palermo hold the camera for minutes on end while we watch what can easily be mistaken as nothing. There are minute long sequences of Casey Affleck and Rooney Mara (their characters credited as C and M, respectively) cuddling in bed, M bringing furniture outside as she prepares to move, and most famously, M eating almost an entire pie. These moments mostly take place while C still lives. As C dies and watches his home move on, however, these long takes become less common. When they do occur, time flies by (an example of this being the spectacular sequence in which the ghost watches M leave their house three times without cutting once). As time becomes fluid for the Ghost, he becomes further away from the life he was striving to hold on to. When he eventually kills himself and comes back as a Ghost watching his Ghost self, he focuses more on the little moments than the important ones. He watches the time he cuddled in bed with M. The mundane moments become the most important. That’s why Lowery forces us to watch incredibly long takes with seemingly no point: he wants us to focus on the unimportant. In these so-called mundane moments, the performances by the leading two actors prove to be some of the best in recent memory. Both of them restrain themselves just enough that we as viewers are fully able to comprehend the complexities of their grief, but stay extremely realistic about how humans show emotion. Mara’s pie-eating sequence covers an entire arc—a woman trying to just enjoy herself, eventually succumbing to her emotions—with nothing but a few subtle changes in how she’s eating. Affleck, on the other hand, spends over half of his screen time under a sheet, though still giving a career-high performance. The way he moves and stares, often avoiding any quick turns or shifts, emphasizes the effects of time on the human brain. Even the sick people in the hospital, the hispanic family, and the hipster mansplainer give wonderful, human performances. Lowery seems to be just as much of an actor’s’ director as he is a cinematographer’s. A movie like this could’ve fallen flat very easily. There are two more things that keep A Ghost Story engaging, though. First off, there is the score by Daniel Hart. Pounding with church-like music at some moments, and humming a melancholy melody with a guitar at others, Hart’s score captures the essence of A Ghost Story’s most vital moments and adds a humanity to them. It’s difficult to come to terms with an absurd story, so the score’s relation of the ghost to church (and the ideas of death that come with it) makes it relatable. Then, with the strings, Hart channels more common scores, again bringing the absurdity to a natural level. It’s a beautiful, purposeful, and overwhelming score. 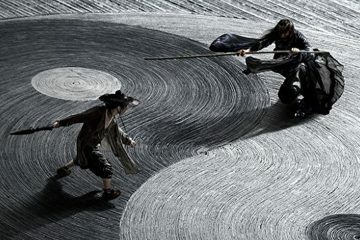 Also in the soundtrack is a song by Dark Rooms, which is the foundation for one of the film’s best scenes. The other vital aspect here is the production design by Jade Healy and Tom Walker. With the passage of time, the house changes: we witness it years before it was built and years after it was torn down. Healy and Walker—at all points in the house’s life—built the environment C feels so comfortable in. The house feels homely and lived-in, but as we travel further from C’s time, slight changes in furnishing and layout add distance between the life we know he loved and the one we are currently in. 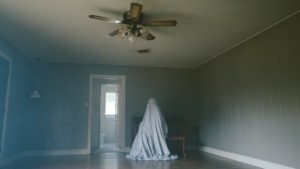 Through production design, the tragedy of A Ghost Story hits a subconscious level in a way that even Charlie Kaufman’s Synecdoche, New York couldn’t. I cried when I left A Ghost Story. I’ve seen it twice now, both times walking out with different views on it. There’s optimism buried inside Lowery’s tragedy, but there’s even more questioning. Lowery doesn’t have the answers that many filmmakers pretend to have. He’s honest. He’s experiencing life at the same time that we are, and he knows just as much as we do. He lays the foundation to discussion and deep thought with his magnum opus, but that doesn’t mean he gives us the pathway to meaning. 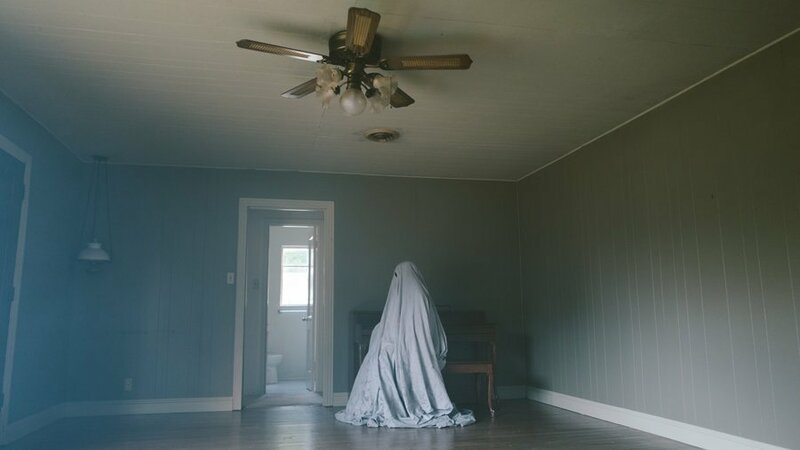 A Ghost Story has been on my mind since the moment I saw it. It’s one of the finest films I’ve ever seen.